Tampa Bay Federal Credit Union is a financial institution with 5 branches, headquartered in Tampa, FL, serving over 30,000 members with more than $280 million in assets. Tampa Bay FCU was chartered in 1935 and now serves members throughout the community. When it comes to Hurricane Seasons, 2017 provided a level of unprecedented activity during the months of August and September, with September being the busiest on record. Hurricane Harvey, which began as a weak Tropical Wave in the Atlantic, rapidly reforms as a Tropical Storm as it reaches the southwest Gulf of Mexico, then quickly strengthens to a hurricane status on Aug. 24, 2017. On August 25th, Harvey makes landfall as a Category 4 Hurricane near Rockport, Texas. Harvey’s wind force upon landfall reaches 130 mph. On Aug. 26, Harvey stalls over the coast of Texas and sets a North American record of 51.88 inches or 27 Trillion Gallons of rainfall in the Houston, Texas area. Harvey’s highly destructive forces leave a $198 Billion wake of devastation in its path… another all-time record. In the days before Hurricane Harvey is expected to make landfall, IMS Disaster Recovery Engineers begin assisting numerous credit union customers residing along the coast of Texas. As Hurricane Harvey approaches, credit union customers in the region begin to inundate IMS with hundreds of emails and phone calls, as they attempt to coordinate final details of their respective disaster recovery plans. Many wait out the storm and some maintain functional operations without declaring, while others are not so fortunate while IMS engineers fail-over IT operations for these credit unions to IMS data centers in Oregon and Colorado. Hurricane Harvey dissipates, but continues to cause flash flooding in parts of Arkansas, Kentucky, and Tennessee. All the while, a new threat is forming in the Atlantic Ocean off the west coast of Africa. Hurricane Irma rapidly becomes a significant threat to Florida packing sustained winds of 185 mph. As Irma drifts through the Caribbean Sea, she sets an all-time record for maintained winds of 185 mph for 37 consecutive hours. Imra makes double landfall on the Florida coast September 10th in the Keys and again near Marco Island. This is an extremely busy time for IMS DR Engineers, who are on-call 24 hours a day, fielding emails and phone calls from credit unions in the Southeastern U.S. attempting to coordinate details of their DR plans. One such credit union is Tampa Bay FCU, which contacts IMS on September 5th to discuss recovery logistics and timelines. In the days that follow, Tampa Bay FCU weighs their options and whether they should execute an all-systems failover to IMS. As Tampa Bay FCU works through details of their DR Plan, they realize there are Third-Party Vendor services which have recently changed and need to be updated for those services be available from the IMS Recovery Site. IMS and Tampa Bay FCU coordinate numerous conference calls, emails and logistical meetings with the applicable Third-Party Vendors to ensure connections are established and tested prior to any failover activity. While this is unexpected activity, all parties work together to ensure every connection is established quickly and tested to ensure proper functionality. As Hurricane Irma approaches the coast of Florida the executive team at Tampa Bay FCU decides not to take chances and requests an all systems fail-over to the IMS facilities. The Disaster Declaration is registered on IMS Support systems on Saturday, September 9, at 5:03 PM EDT. The IMS Recovery Team immediately begins failover of all designated servers and systems. All systems are recovered and functional within designated RTO’s /RPO’s and Third-Party Vendor connections are functional within designated recovery objectives. IMS maintains all critical systems from the IMS data centers for nearly two days until Tampa Bay FCU executives determine that it is an acceptable risk to fail all systems back to the credit union’s data center. The fail-back request is registered on IMS Support systems on Monday, September 11, at 2:59 PM EDT. IMS initiates fail-back procedures and returns all system functionality to Tampa Bay FCU’s data center. 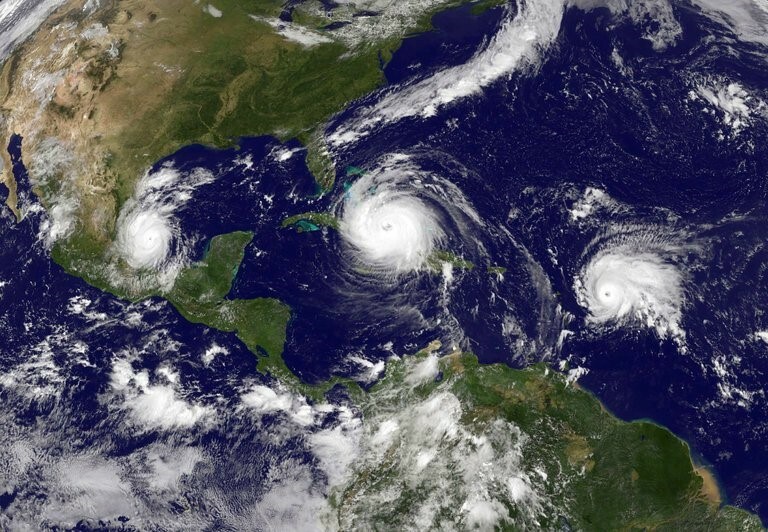 Two of the six become Category 4 and two Category 5 hurricanes, which is extremely rare. Since 1851, when record keeping began, 10 of the 15 most active hurricane seasons have occurred in the last two decades. In 2005, Katrina and three other major hurricanes caused $143.5 Billion in U.S. damages. However, the 2005 record has been surpassed by more than double in 2017, with costs expected to exceed $290 Billion.